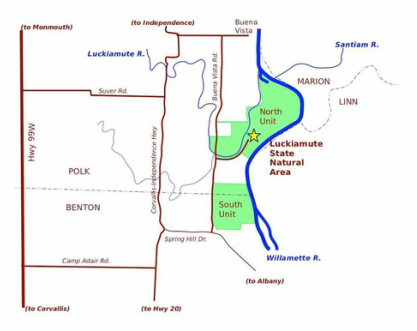 Luckiamute State Natural Area (LSNA) straddles the Benton/Polk County line along the Willamette River. 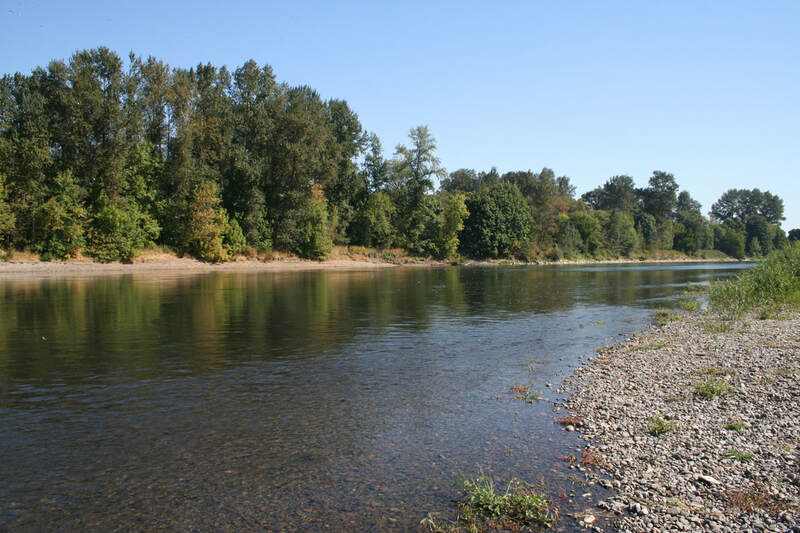 At the boat-in campground at the northern end of LSNA is a spectacular view of the convergence of three rivers: the Luckiamute River, the Santiam River and the mighty Willamette River. Looking downstream from this vantage point, you can see the Santiam empty its waters into the Willamette. Then just a stone's throw downriver of this confluence is where the waters of the Luckiamute and Willamette Rivers are joined. 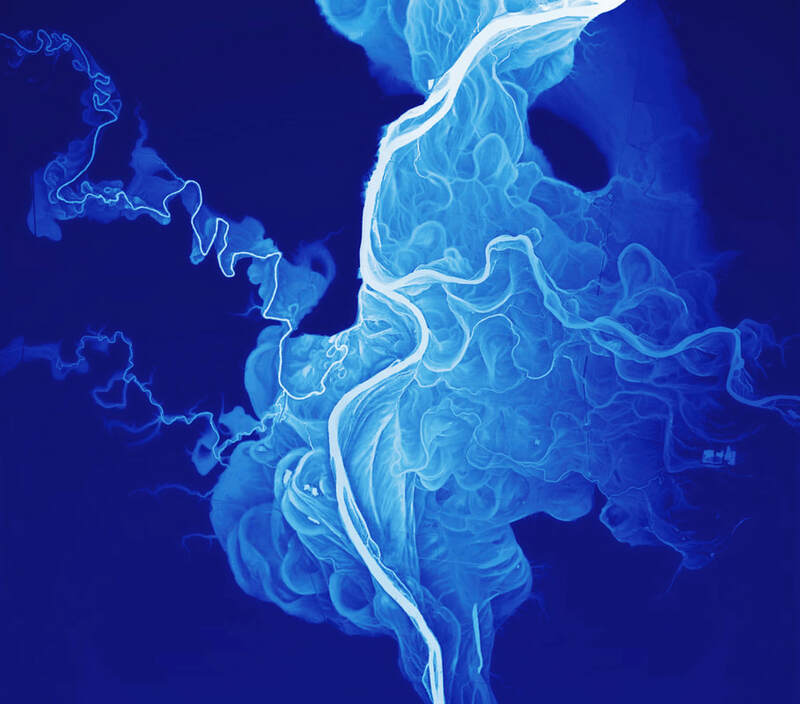 According to Oregon State University (OSU) research, this intermingling of three of the area's most important rivers hosts the second-most diverse fish population in the Willamette Valley (the McKenzie-Willamette confluence tops the list). 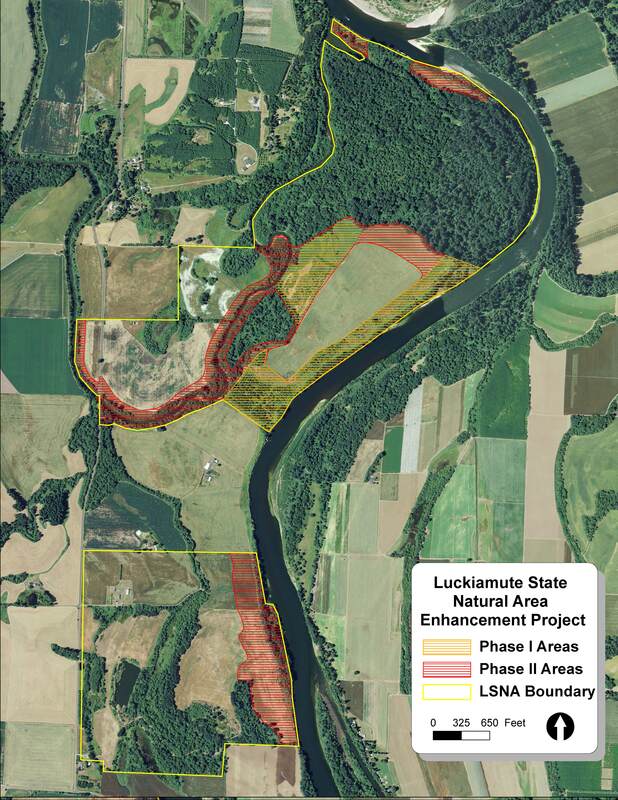 Formerly known as Luckiamute Landing, LSNA has grown from a collection of small parcels along the Willamette River to a 925-acre Natural Area managed as a single entity by Oregon Parks and Recreation Department (OPRD). LSNA is divided into two sections, the 615-acre North Unit, which includes a seasonal boat-in campground, and the smaller 310-acre South Unit. Perhaps LSNA is best known for its large remnant of deciduous "gallery forest" -- a forest of majestic cottonwoods and maples arching high over an exceptionally diverse understory. These increasingly rare habitats are critical to the survival of many kinds of neo-tropical migratory birds, as well as a wide variety of waterfowl, shorebirds, amphibians, and turtles. 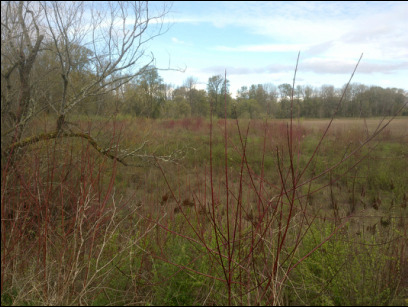 Less well known is that about a third of the Natural Area – and much more of the surrounding neighborhood – was historically grassland (prairie and oak savanna), which has become the Willamette Valley's most threatened habitat type. ​Efforts to restore these rare ecosystems have resulted in a 5-acre demonstration prairie in LSNA's North Unit, as well as protected oak savanna habitat in the South Unit. Click here to view the wildlife of LSNA. Luckiamute State Natural Area Enhancement is a project of the Oregon Parks and Recreation Department (OPRD) and the Luckiamute Watershed Council, with funding and technical support from Oregon Watershed Enhancement Board (OWEB), Meyer Memorial Trust, Bonneville Environmental Foundation, and Bonneville Power Administration, under the Willamette Special Investments Partnership (SIP) program. The partnership has made substantial progress toward improving site conditions and building community support around LSNA. 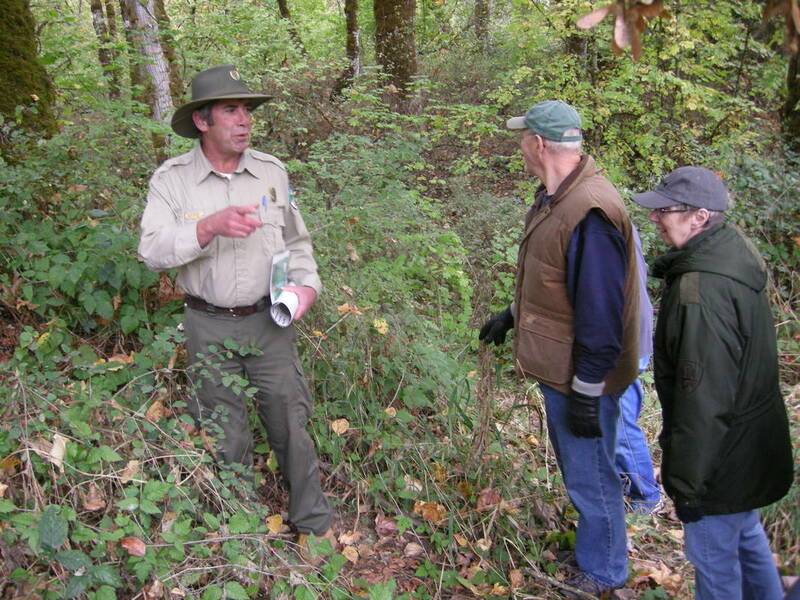 The primary goal has been to reduce invasive weeds, replant with native shrubs and then continue to manage those native plantings until they can thrive and spread on their own. Most of the 80-acre Phase I acreage had previously been planted and had an established overstory of ponderosa pine, Douglas fir, Western red cedar and cottonwood. However, the understory had not developed and was dominated by Himalayan blackberry, river tansy, common teasel and a host of common agricultural weeds. Thanks to the Council and its partners, this area now has a multi-layered canopy, with a diverse mix of native trees, shrubs and forbs that provide food and shelter for a wide array of birds and other wildlife. Click and drag the slider below to see the increase in riparian (streamside) habitat along the Luckiamute River from 2010 to 2016! (Above) Keep your eye on the Luckiamute River (flowing down the middle of the image), and then move the slider all the way to the right. 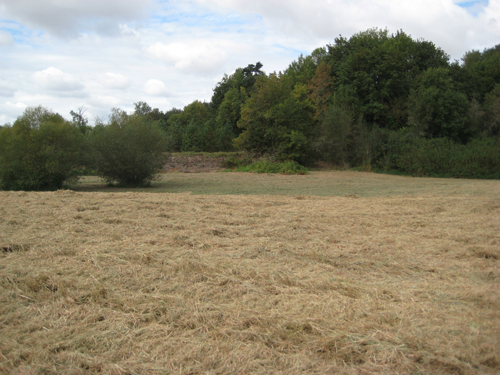 This is the view in July 2010 before planting activities started. Now, slide the image all the way to the left to change the view to July 2016. See the increase in vegetation along the left side of the river? 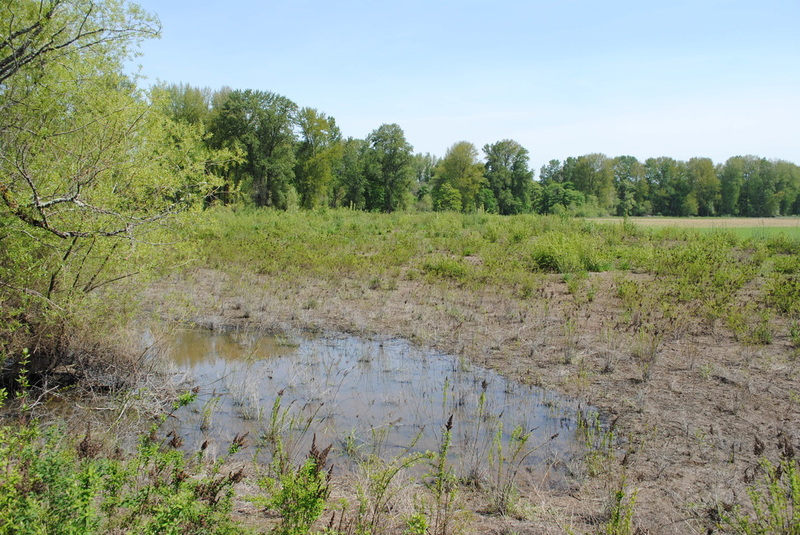 In just six years, there has been a dramatic increase in riparian (streamside) habitat that will better provide food and shelter for LSNA's birds and wildlife. And as the trees and shrubs grow, their shade will help keep summer water temperatures cooler -- which will benefit steelhead, Chinook salmon and other aquatic life. (Below) Here is an aerial photo of the same area featured in the slider, taken in February 2017. 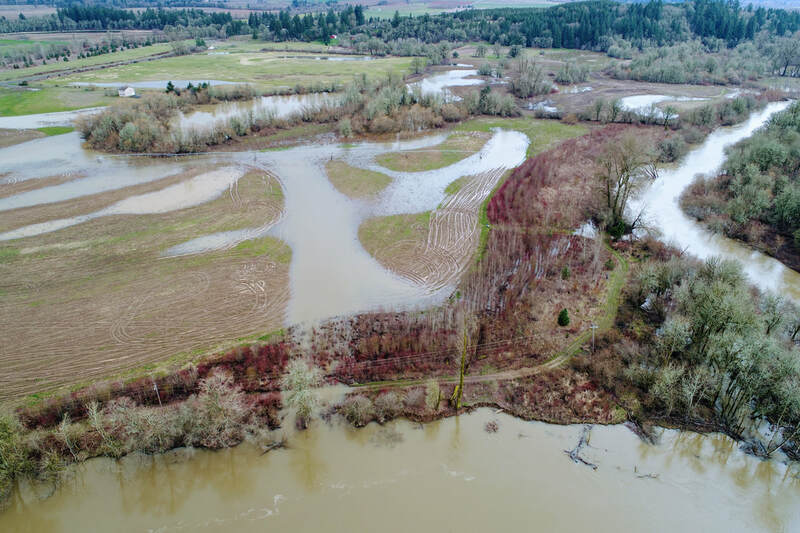 The natural process of the river overtopping its banks and flowing into its floodplain (the surrounding low-lying land) has many beneficial impacts, including improved wildlife habitat, floodwater storage, and groundwater recharge. Click here to learn more about floodplain reconnection project planning at LSNA. 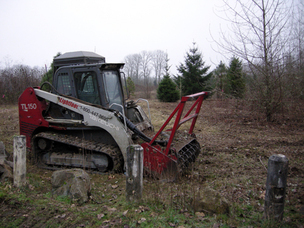 Phase I of the LSNA Restoration Project began in 2011, and included mowing, cutting, strategic weed treatments to prepare the site for planting. In 2012, our crews planted over 122,000 native trees and shrubs on 80 acres of riparian (streamside) forest and wetland habitat. 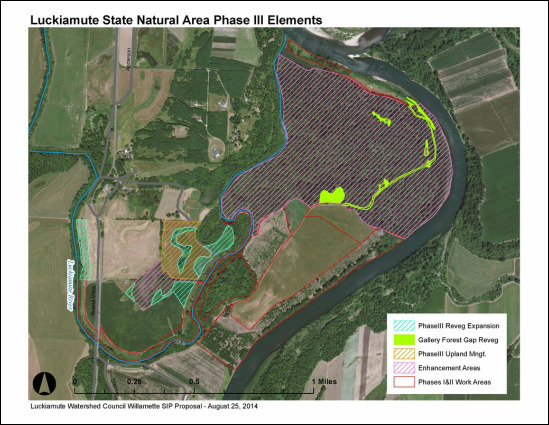 Phase II added 137 acres of riparian and wetland habitat in 2013 and 2014, expanding the total project area to a total of 217 acres. During both Phases, a total of 420,000 native trees and shrubs of 30 different species were planted in both the North and South Units of LSNA. ﻿Phase III of the LSNA Restoration Project includes 117 additional acres of riparian and floodplain forest in the North Unit of LSNA. 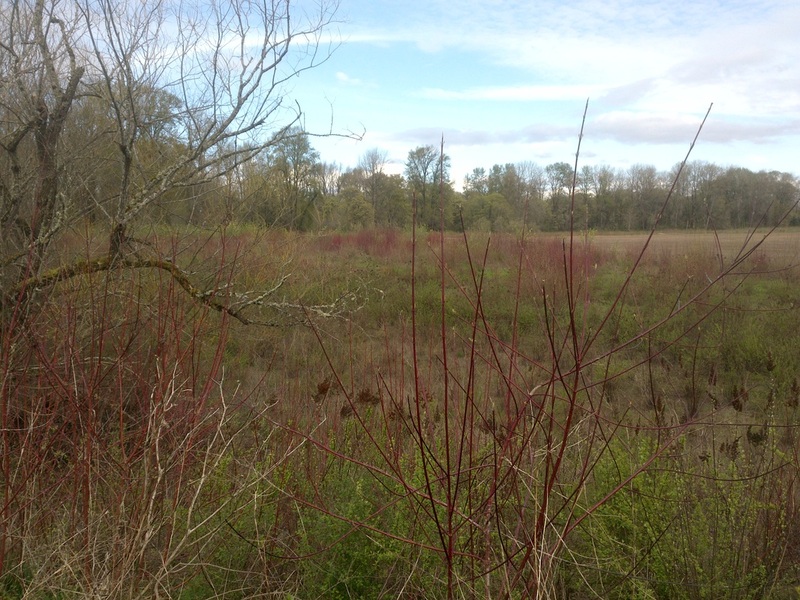 The LSNA's gallery forest represents one of the largest remaining tracts of this unique habitat type that is becoming increasingly rare in the Willamette Valley. The goal of Phase III has been to fill gaps in the canopy within the gallery forest, and help protect it from increasing weed pressures. Currently, project partners are stewarding and managing a total of 535 acres of riparian forest and wetland habitat. 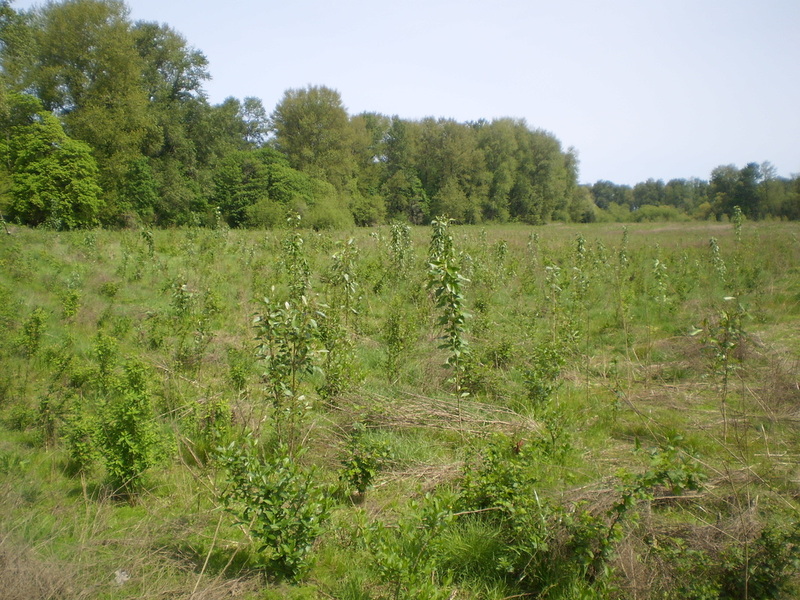 In February 2013, reforestation crews planted 14 acres in LSNA's North Tract to expand the gallery forest, a unique type of forested riparian (streamside) habitat that is becoming increasingly rare in the Willamette Valley. In the spring of 2013, targeted applications of herbicide protect the growing plants and reduce weed competition for the growing season. The following spring, in 2014, you can see how much the new plants have already grown! 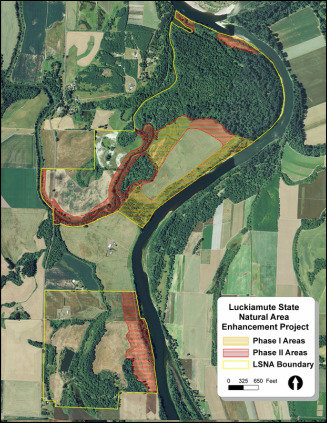 Since 2011, work at Luckiamute State Natural Area has focused on restoring and reconnecting the floodplain habitat in and around the park. The large remnant of riparian forest found within LSNA has been identified as a high conservation priority and is critical to supporting the native fish and wildlife diversity that depends on these ecosystems for their survival. Opportunities for volunteers at LSNA and other projects in the watershed are available at the "Get Involved" link here or on the menu above. 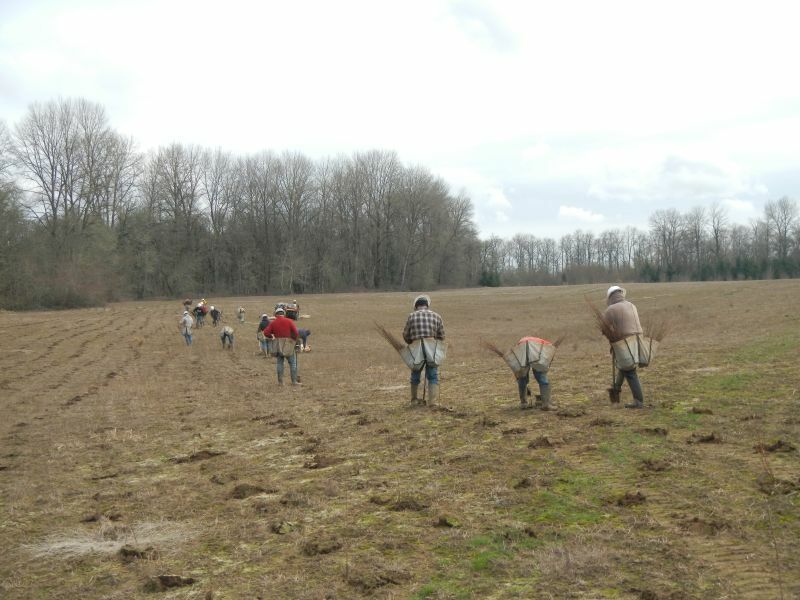 Mowed reed canary grass prior to planting (2011). 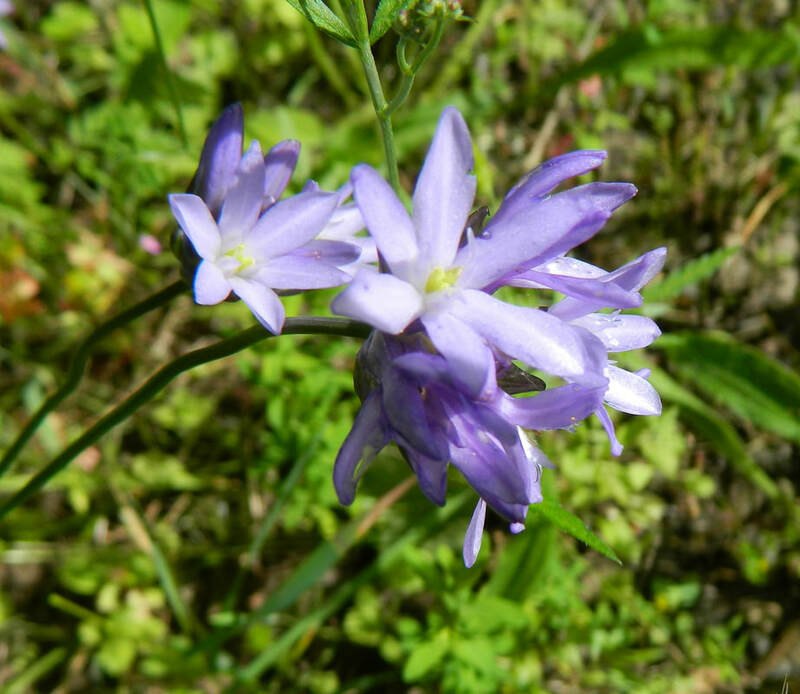 Camas lilies (Cammassia Quamash) are a common sight in the wet meadow habitats of LSNA.